I received a few testimonies regarding this painting. One was from a woman who had been at our church many years ago, who had moved to another part of the state along with her husband. Her husband had suffered a brain injury in recent years, and for some reason their church had basically rejected them. This night was her first time back at our church after all these years. She was sitting about 5 rows back, and directly in line with where I was painting. 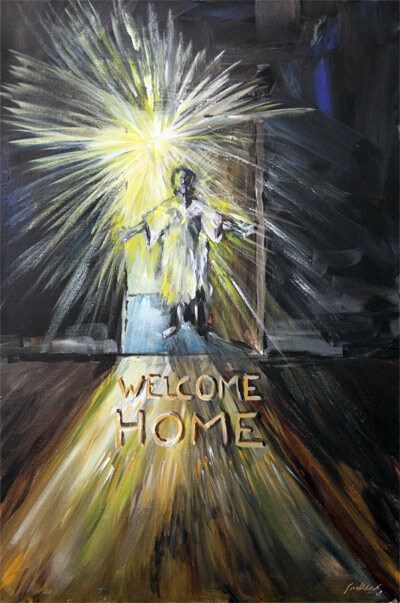 The painting combined with the pastor’s message really made her feel like she was back home.